Mix the flour and salt in a bowl. Add the butter and rub together using your hands to form an even, crumbly mixture. Pour in the water and mix quickly to form a soft dough; do not knead. Flatten the dough, cover and chill for approx. 30 mins. On a lightly floured surface, roll out the dough into a circle (approx. 32 cm in diameter). Transfer the dough to the prepared tin. Prick the base firmly with a fork. Approx. 20 mins. in the lower half of an oven preheated to 220°C. Remove and allow to cool slightly. Turn the oven down to 200°C. Combine the cream, cottage cheese and egg, season. Spread the sauce over the pastry dough. 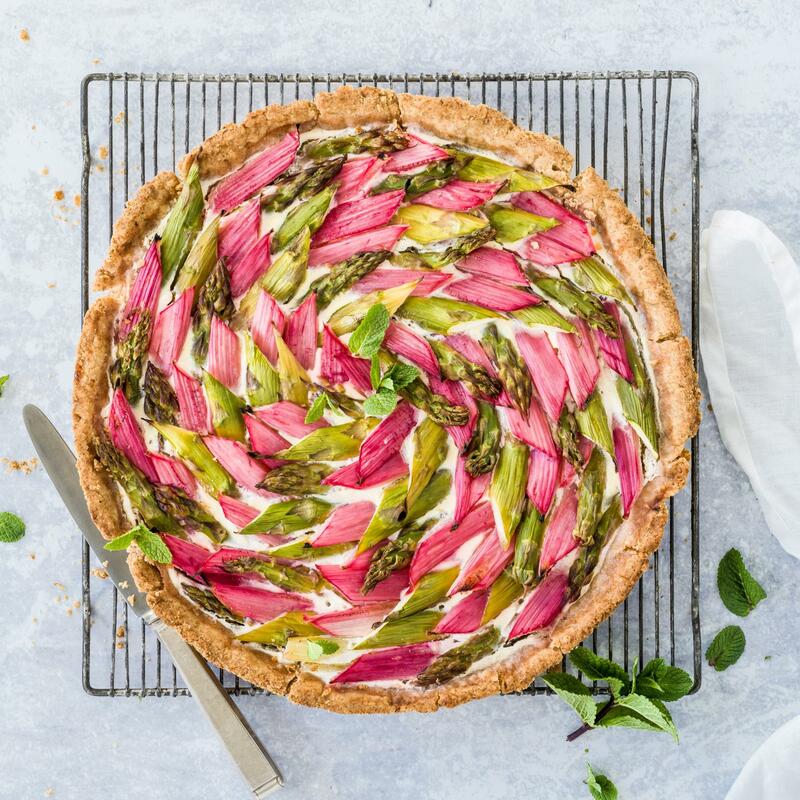 Mix the rhubarb and sugar, place the rhubarb and asparagus on top in a spiral fashion, starting from the outside and working in. Approx. 40 mins. on the bottom shelf of the oven. Remove from the oven, allow to cool slightly, remove from the tin.